The Mardi Gras Indian tradition dates to the late 19th Century, when African-American men in New Orleans began masking for Carnival in stylized Native American garb. American Indians were venerated as spiritual allies in resistance to an oppressive power; some maskers traced their heritage to local tribes who banded together with runaway slaves. Over generations their suits evolved as spectacular works of art, painstakingly constructed at great expense. When Mardi Gras Indians take to the streets, they are often accompanied by percussionists, who carry everything from a djembe to a tambourine to a cowbell. Their distinctive rhythms and chants have underpinned New Orleans music from Jelly Roll Morton to the Neville Brothers. 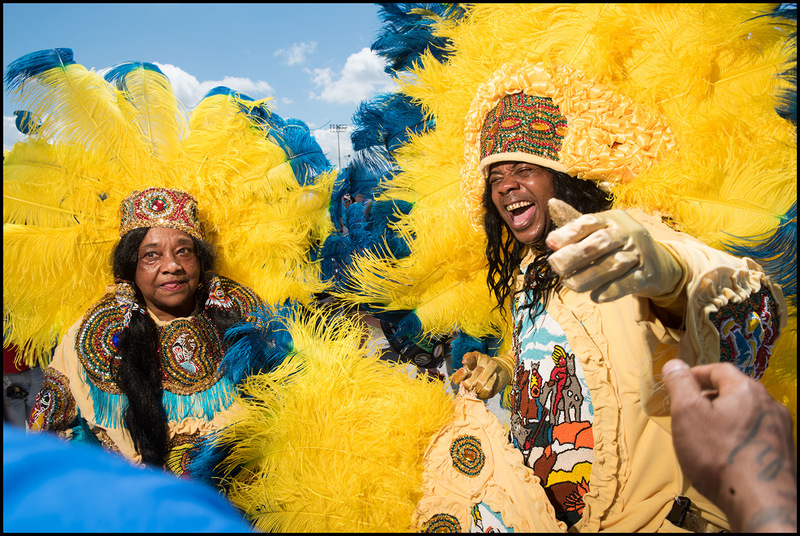 This stops on this tour will let you see Mardi Gras Indian suits up close and learn about the culture from the communities that make it.